After seeing Rita’s beautiful Headliner Text quilt, which uses some of the new Umbrella Prints fabrics for the center of each block, I was reminded that I had purchased a trimmings pack from Umbrella Prints. I won’t say how long ago that was, but let’s just say that I was really thrilled that I was able to even find it after all this time! I love the hearts as the center of the block, and since I found two pieces of the heart print in my scrap package, I decided to make up two mini quilts based around that heart print. 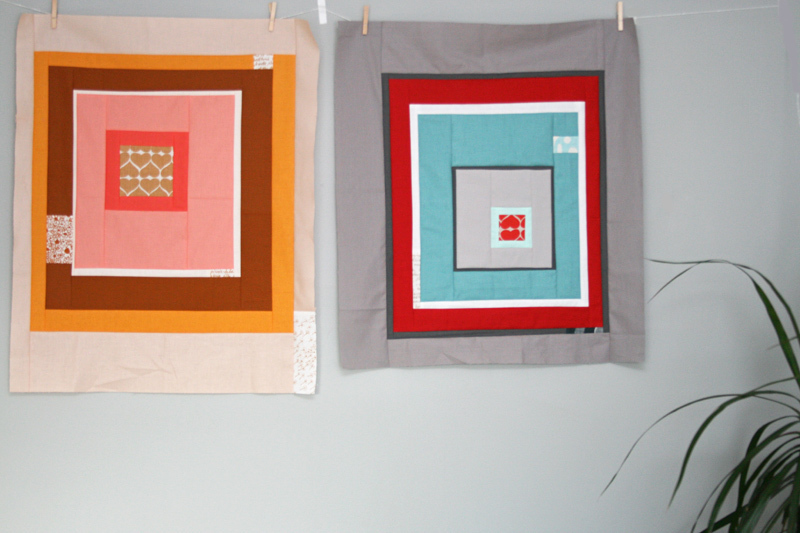 I pulled some warmer solids to go with these tan hearts and went with an off-centered square in square design. There were a few other little trimmings in similar colors, so they got added in here and there. I particularly love that little text print in the white section – each time I glance at it it reminds me of a signature on a piece of art. And then I made up this second one, in mostly cooler solids. I wish I had had a bigger piece of the red hearts, but at the same time it was fun to be limited by the pieces I had. 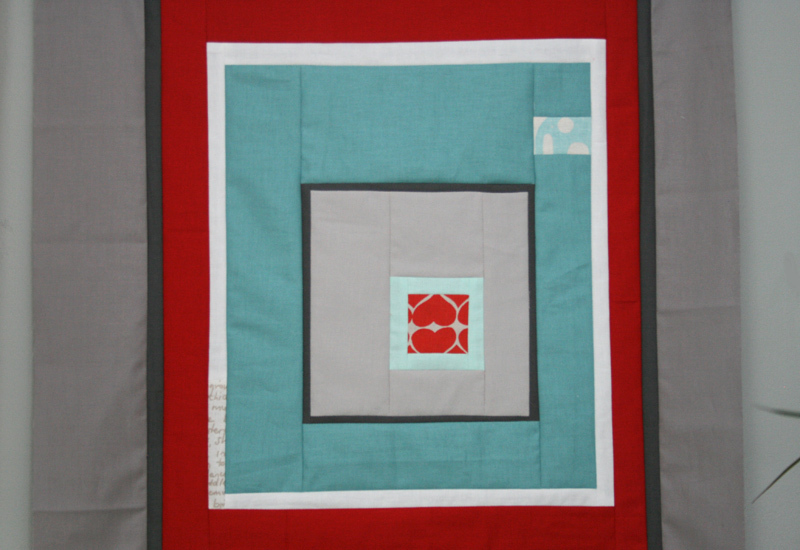 And of course it’s always fun to be able to use, and even base a quilt around, little scraps. 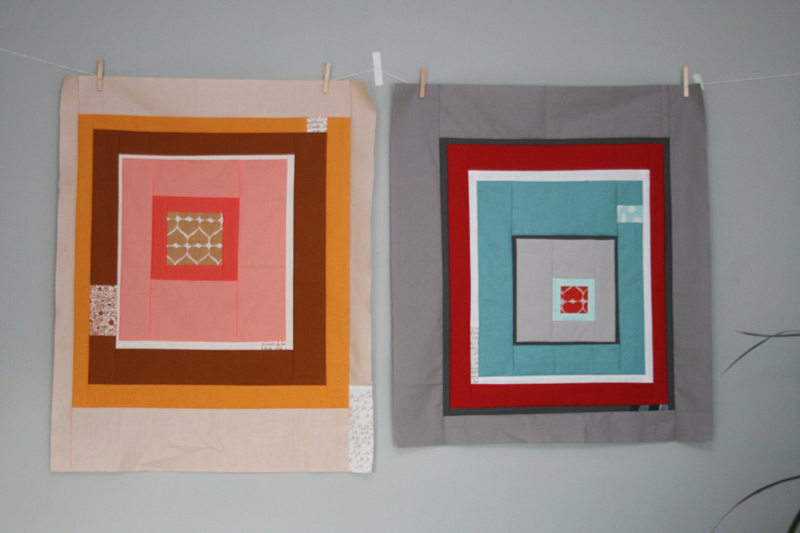 I think I may try some circular quilting on these, since I love the look and haven’t yet tried it, and then I think these two minis shall find a nice home on our walls! 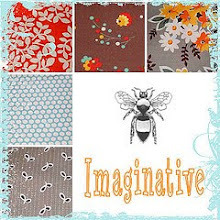 This entry was posted in Fabric, Posts about Quilts and tagged australian fabric, hand printed, handmade, mini quilts, quilt, square in square, umbrella prints, wall hangings. Bookmark the permalink. Really nice! I like your color choices. Love these two minis, they have so much style! Ooooh! I love these!!! I really need to do another red and aqua thingamabob soon…that color combo never gets old for me! Lovely blocks. I really, really like them. They do warm my heart – I love them! I just got some tiny pieces of Heather Ross and this reminds me that you can feature small pieces of fabric in a useful way. lovely! I particularly like the orange border. I love coming here and looking at all your quilt ideas. I found you through Pinterest. 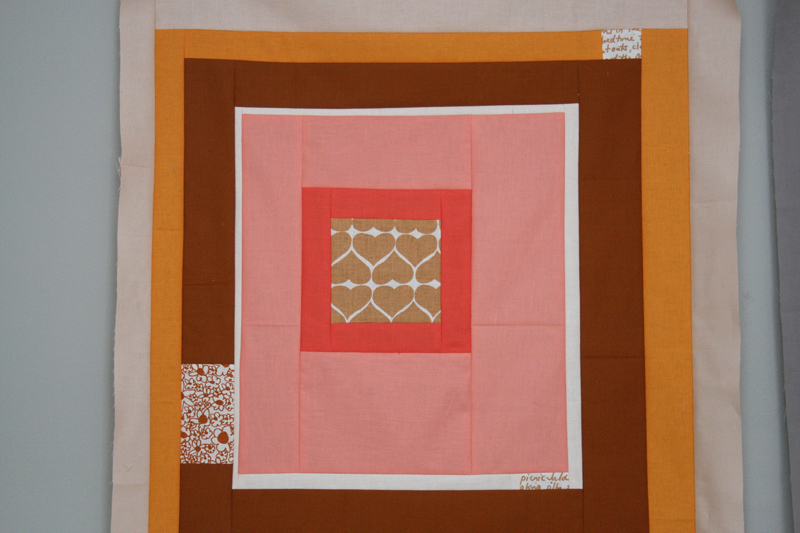 Quilting is new to me, but if you have time stop by my blog and see my “sunshine” quilt. Very simple big pieces, but I call it a quilt nonetheless. Thanks for sharing your creativity! thanks for the inspiration! i made a stroller quilt for our newest family addition, Leo (born this morning!) 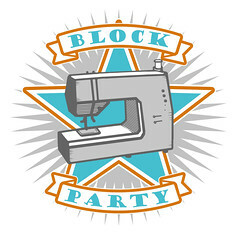 using the block idea!